Bringing home a newborn baby is such an exciting (and sometimes stressful) time! Want to know the best way to help with the added stress of a new baby? Prepare! Whether you are shopping for your new little baby, or wanting to find the perfect baby gift for a loved one, these favorite baby essentials are a great place to start. When adding essentials for your baby, you can’t overlook diapers and wipes. Bambo Nature makes their diapers with your child at the top of their mind. Their diapers use absolutely no dangerous chemicals, no allergens and no perfumes. They are made with sustainable resources for less waste without sacrificing any absorbency or softness. That means, they are diapers you can feel confident in being safe for your baby and for the environment. They are even compostable (for non-food soil)! I tested a pack on my baby and they’ve worked wonderful!! No problems with leak or fit, I’ve been very happy with Bambo Nature! They also carry training pants and baby wipes to meet all of your diapering needs. My baby loves her pacifier, but I was so tired of trying to find one when she needed it or picking them up off the ground. I went looking for a pacifier clip that was cute and fashion forward but was coming up short until I found Madeline’s Box. Their braided pacifier clips and babies are a match made in heaven. We have been using our clips for over a year now and I have been a repeat costumer many times over. They are beautifully made and their shop has the best customer service. Not only can you use these beautiful clips to hold pacifiers but they also work for toys or sippy cups that you want to avoid falling from your child’s stroller or high chair. They are my go-to baby shower gift. Offered in all the colors of the rainbow and then some, you are bound to find exactly what you are looking for! Grab a bundle of them for the best deal! As a former teacher, I have long been a fan of Lakeshore Learning and all of their amazing learning tools and toys for school aged children. What I didn’t know is that they have educational products for infants and toddlers as well. From puzzles to books and everything in between you can fill your child’s day with educational play. We have been using our Touch and Feel Picture Library daily with my one-year-old, she loves to touch all the different textures and objects as we discuss their colors and shapes. I love that I can slide of few of them in my diaper bag for learning on the go as they hardly take up any space. Another favorite are their Big Knob First Puzzles that are so easy for tiny hands to manipulate. All of Lakeshore’s toy and games are extremely well made and will last for years and years of learning through play! For me, outfitting my baby is one of the most fun parts of being a mom. I even think doing baby laundry is fun. I am always on the lookout for new place to grab cute items for my kids and my newest find is Pimpolho! Pimpolho is a Brazilian company that makes wonderful products for kids from age 0-3 years. They have adorable clothes and toys to choose from, but what really grabbed my attention are their shoes! So many cute options, and each pair is beautifully made! I need to grab a few more pairs for my babe! Reading with an infant may seem silly, or pointless, but it is not! Infants usually don’t pay attention for long but that is totally okay. 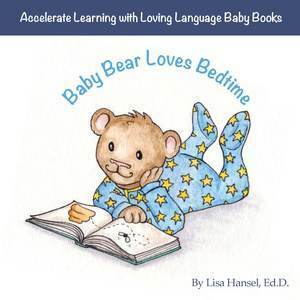 Reading Loving Language Baby Books with your baby does more than you think. Reading gives you quiet time to snuggle, smile, and interact. Focus on your baby’s interests, look at the pictures and talk to your little one. You don’t have to read all of the story, pay attention to what catches their eye and sparks and interest. Ask them questions. Loving Language Baby Books provide you with a story as well as questions and prompts to help you talk and communicate with your child. Plus, they are chewable, tear-proof, and endorsed by doctors for accelerating language development. A perfect way to kickstart your baby’s learning. Baby Bear Loves Bedtime is my daughter’s favorite! Making the switch to solid foods can be tricky, and messy, but giving your child their favorite liquid foods like purees and smoothies just a whole bunch easier with The Original Squeeze™. The Original Squeeze™is the original reusable squeeze pouch with a spill-proof spout™. Made of durable silicone and 100% toxin-free materials, these reusable food pouches are meant to last for years with your growing child, saving you money every time you fill your Original Squeeze™. No more needing to buy food pouches at the grocery store and no more spilled smoothie cups! Perfectly sized for babies and toddlers, The Original Squeeze™ makes feeding kids at home and on the go easy! There is nothing better than receiving and giving personalized gifts. 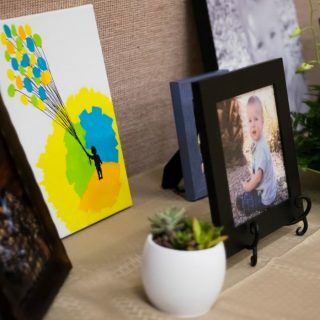 Perfect for mom and baby, Things Remembered offers a wide variety of personalized items such as jewelry, apparel, toys, house decor, and keepsakes. Whether you’re looking to adorn you little one’s wrist with initialed jewelry or put their name on a fun toy, Things Remembered is your one-stop-shop. A few of my most favorite products from Things Remembered include their Alphabet Truck, Pink Leather Bracelet, and Dinosaur Hooded Towel Robe. There really are personalized gifts perfect for everyone in the family! What is more fun than reading a book to your child? Reading a book about them! With I See Me personalized books, you can get a book personalized just for them. Add a picture of them in the book, some describing features and of course, their name. I See Me has a broad range of books to choose from. Great for little toddlers or older children, it’s always fun to read a book with your name in it. They’re perfect for baby shower gifts, birthday gifts, or just because they are fun to read. Get your kid reading with a book about them. They will feel special with a keepsake book all about them from I See Me. Add fun, interactive toys to their collection without breaking the bank with Arshiner! Like the Arshiner Wooden puzzle that includes a variety of colorful shapes and pieces to create all sorts of pictures, and then mix-and-match and start over again! 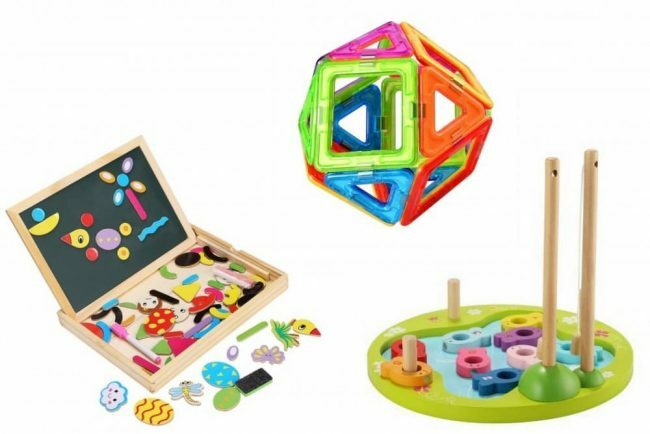 Or try one of the latest crazes – magnetic shaped blocks, like Arshiner Magnetic puzzle set. It includes 20 pieces for lots of different combinations that will fascinate your little one. Arshiner offers lots of different fun and playful toys from a cute wooden fishing playset to doctor’s kits and more! As your toddler’s independence grows, so do your messes. Mixed Pears is here to make meal time a little bit easier. After preparing your child’s food you can easily cut it up into small, manageable pieces with their handy BiteSizers portable food scissors. Perfectly sized and easy to operate one handed, they are a life-saver come dinner time. Once their food is ready let your little one slip on a Suitables Role Play Bib and spend meal time pretending to be a doctor or a panda bear! I love that these bibs are long sleeved and really give my little girl coverage while eating. 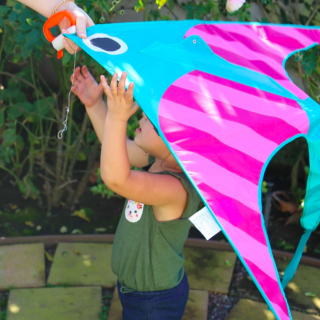 With toys for both babies and toddlers, Yookidoo has something that is extra fun for everyone. Yookidoo celebrates the importance of discovery by introducing an entirely new approach to play and learning through stimulating, interactive and highly innovative products. No bath is complete at our house without our Flow N’ Fill Spout and our Stack N’ Spray Tub Fountain. My kids, that range in age from 1-5 years old, all wish they could stay in the tub for hours stacking, pouring, and splashing with these unique and award winning toys! They are so much fun! It’s important to keep things organized with baby. Perfect for keeping all of your essentials organized in the car, Lassig’s 4Kids Backseat Car Organizer makes road trips a breeze. Whether you use this backseat organizer for road trips or just driving around town, the 4Kids Backseat Car Organizer will keep your kids entertained while driving in the car. Whether they use the white board to draw pictures, or put their favorite toys in the numerous pockets, it is sure to keep the kids busy and their things secure while on-the-go. Available in a variety of colors and patterns such as starlight olive, starlight magenta, shark ocean and ocean magenta, there is a Backseat Car Organizer for everyone! When it comes to diaper bags, I have tried them all. I love to try new styles and for me they must be fashionable and functional. Coco and Kiwi makes the most gorgeous diaper bags, and I am happy to say they meet my very high standards. I adore my Sydney diaper bag in Amber. I honestly get compliments on every single day. My favorite features are the stroller straps that are included with it, and the unique zip-out messy bag that is waterproof and machine washable. It also features 7 pockets, a matching changing pad, a wipeable liner, and adjustable shoulder strap. This bag is a dream! In addition to diaper bags, Coco and Kiwi also wonderful training pants and seat liners. Use code TAKE10 for 10% off your purchase and head to our Instagram for a giveaway this week! As a mom there are few extra things that I have found that surprise me by making my life easier. This Garmin babyCam is one of them. With all of the facts that we have about rear facing children and car safety, kids are rear facing longer than ever. The Garmin babyCam allows you to keep an eye on them without turning around. It operates through your dedicated Garmin Navigation Device so you can enjoy turn-by-turn directions and keep and eye on your little one! It is my favorite baby gadget that I never knew I needed, I hate driving without it! It even has night vision mode so you can see while driving at night. If you already have a comparable Garmin navigation device, you can buy the babyCam to use with it, or you can buy a babyCam/Navigation system bundle. The Garmin babyCam is a mommy must have! It’s so hard to wear jewelry and try to look fabulous when you’re a mom with young babies. The babies always yank on whatever jewelry you have on, potentially breaking it. Chewbeads has found a way to make both mom and baby happy. With Chewbeads cute, chic, colorful, silicone jewelry, now you can look fabulous and stylish. The best part is, baby can pull, chew and teeth all they want, without ruining it. It’s a match made in heaven, Chewbeads heaven. Don’t give up on looking stylish and chic just because you’re a mom with young babies, grab some Chewbeads and feel put together again. Preparing a room for my baby is one of my favorite stages of nesting. I love finding unique and beautiful pieces for my baby’s nurseries. HABA has a gorgeous selection of unique items for your newest little one’s space. I am in love with my little girls Rainbow Balls Mobile. This gorgeously-designed mobile is sure to be a hit with both little boys and little girls. With it hanging above our changing table, our little girl always has something to watch during her changes. It is so fun to watch her eyes as the follow the beautiful colored balls as the move and sway above her. HABA also has a wonderful selection of wooden toys that are sure to delight children of all ages. When it comes to bedtime, some kids just don’t love being in the dark. Claessens’ Kids knows that and makes it easy to comfort your child all night long. The Kid’Sleep My Aquarium is a favorite at our house. It features an animated night light, 4 lullabies, cute fish that swim to the rhythm of the lullaby, and a sound detector that automatically turns the lights back on if your child wakes up. My older kids can’t sleep without their Kid’Sleep My Lanterns. These cute, toddler sized lanterns provide them with a portable, safe light that can go with them on midnight potty runs, and sweet lullabies to help them sleep. Completely transform your little ones space easily with Wall-Ah decals! Start with a base paint color and with minutes using Wall-Ah! removable decals you can completely change the room! 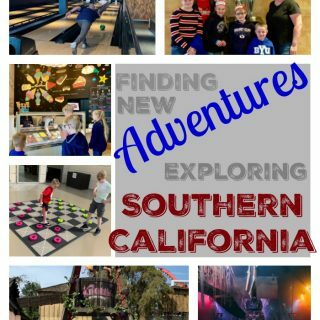 You’ll be able to create a place where their imagination can soar and they are free to be a child. Their beautiful decals are great for nurseries, your toddler and big kid rooms, or for the playroom. You’ll find exclusive and original artwork and themes from licensed major motion pictures, publishers, and toy brands. Once you pick out your dream room, you’ll have your design to you in as little as 4 days! The hardest part will be picking your design, with fun themes including My Little Pony, Jurassic World, Harry Potter, and beautiful artwork designs. What kind of room will you create? Wall-Ah! is offering a one-room theme giveaway! What a great win for a parent to give to their little! Winning things like this for little ones is always awesome! 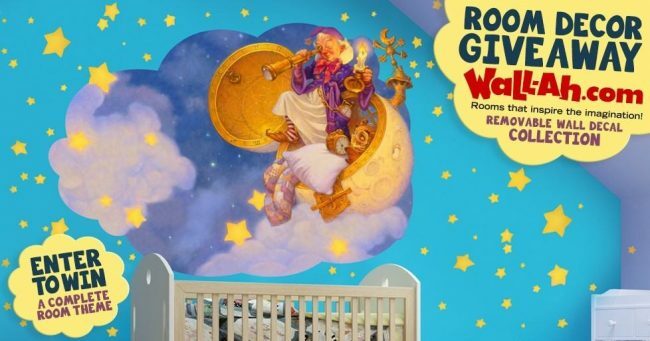 I would love to win wall decals for my daughter’s bedroom. We painted in the winter but the walls are still bare. I love all the gift ideas!!! I love it all and the great thing about wall decals is they can be easily moved to another place. I love the DC Super Hero Girls line!! I’ve always wanted to have a forest critters or ocean themed room! I’m pregnant and considering a Peter Pan motif for nursery. My nephew would love the Dinosaur Train! I really like all those puzzles. I’m so into thinking games and activities. I love the Rainbow Balls Mobile. It would be a fantastic addition to any nursery. i have a baby shower to go to next month and i had no idea what to buy. Thanks for the great ideas. I will definitely get her a few pacifier clips. My Daughter loved her pacifier. I had a few different pacifier clips to keep it close to her. These are great baby essentials. They would make great baby shower gifts. 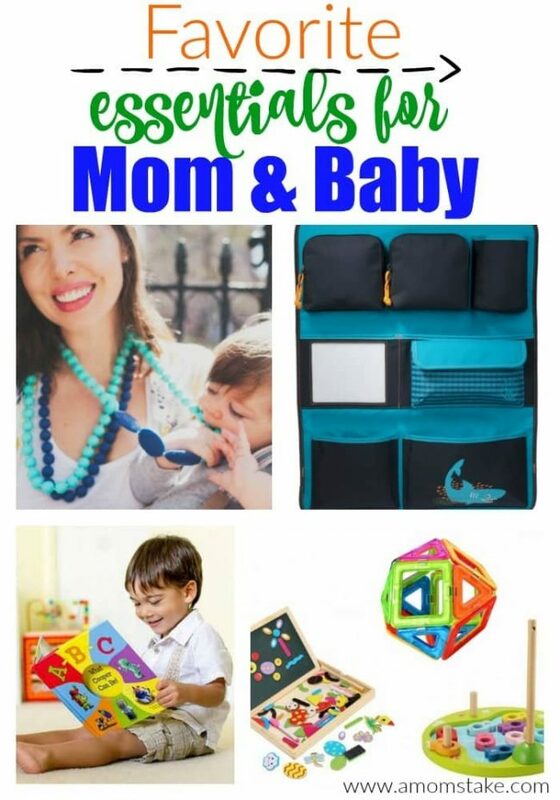 There are a lot of good gift ideas here for moms and little ones. When my kids were littles, they would chew on everything when they were teething. The teething necklace is brilliant! I think those teething necklaces are really neat. I wish I would have had them back when my girls were babies. I think it would have really helped them. They always wanted to chew on everything. I think chew beads are an awesome idea! When my nephew was a baby, my sister had to stop wearing all jewelry. Great gift ideas! 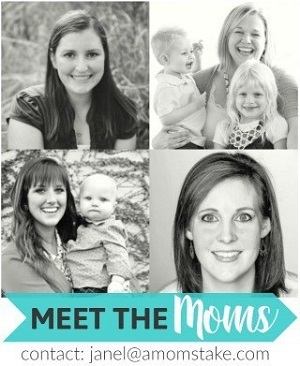 Can’t wait to share with all the young moms I know. What cool items! I’m going to share this with my regnant friend. She is a first time mommy and would LOVE these suggestions! 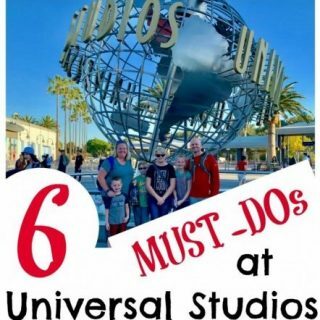 So many great essentials listed! I am so glad I had most with my babies! That diaper bag is gorgeous I love the yellow! My Nephew would LOVE all this toys and his birthday is just around the corner so this would be perfect!! Thanks for the idea! My niece is 7 months old and getting to be fun now. She would love these toys which would help to improve her motor skills. When anyone I know has a baby I give them stacks of books along with a diaper rash kit! One of those car organizers that attaches to the back of a car seat is such a good idea. Their little stuff gets lost so easily.